Want to create events ? 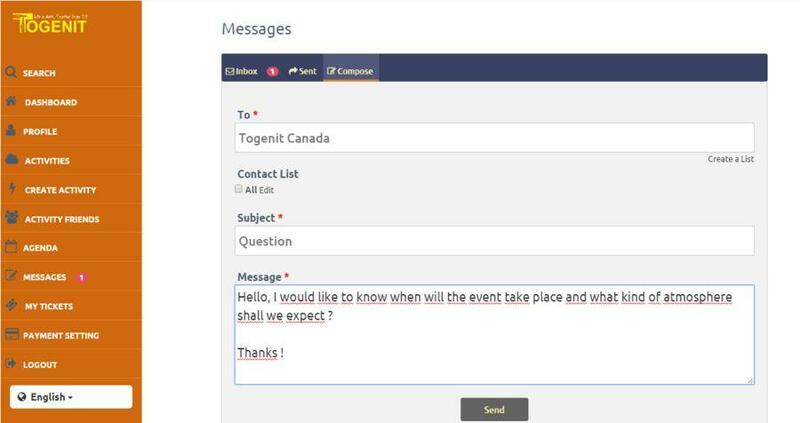 Professional Event Organizers are welcome to create their profile on Togenit & Organize events. Once you sign up, we will get in touch with you as soon as possible in order to confirm your account. No Service Fee on Ticket Sales ! Create your event in less than 3 minutes - the process is extremely simple. 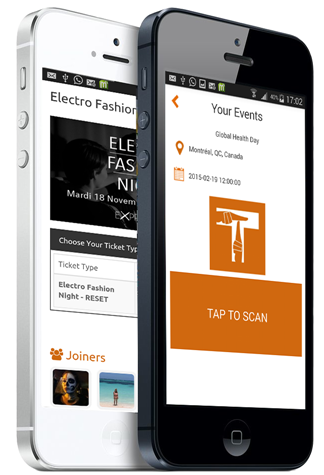 Organize Events, Interact with Joiners and Sell Tickets - No Service Fee. Plan ahead and get full clarity as to future expectations. Have full clarity about your events' joiners along to their details. 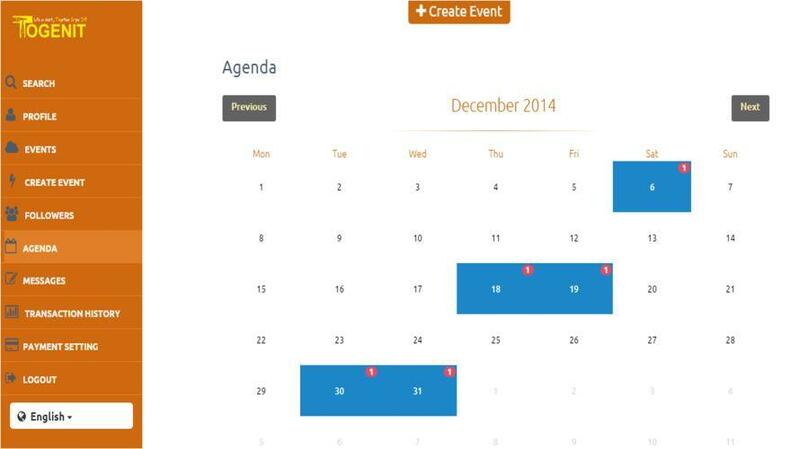 Manage your events' attendance in real time, scan tickets and get statistics. Get in touch with your events' joiners and get your message through. Horizons are always open - Sell Tickets in more than 10 currencies and get global. The togenit platform is very simple and user-friendly. You can register for free and have your event Live in less than 5 minutes. While most ticketing platforms take ridiculously high service fees, Togenit takes nothing. Free events are completely free - and we take no service fee on ticket sales. In one word, Togenit is the most cost effective ticketing platform out there ! All the payment flows go through Paypal - the most secure and reliable online payment gateway. Your attendees can pay whether with credit card or with their Paypal account - though we never keep their payment details. We provide several options to incentivize your attendees to share your event. These include Togenit's revolutionary linear discounting system along with our affiliates program. 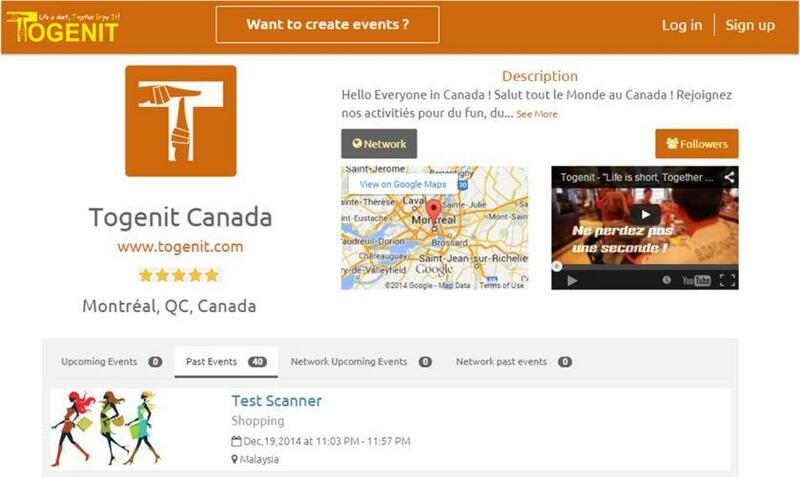 You can download the Togenit QR Code Application for Free and manage your event's attendance. The app lets you scan tickets, detect duplicates, get live statistics and it even works offline. At all times, you can get in touch with our dedicated support team through the chat window on the bottom right of your screen. We will help you no matter what ! 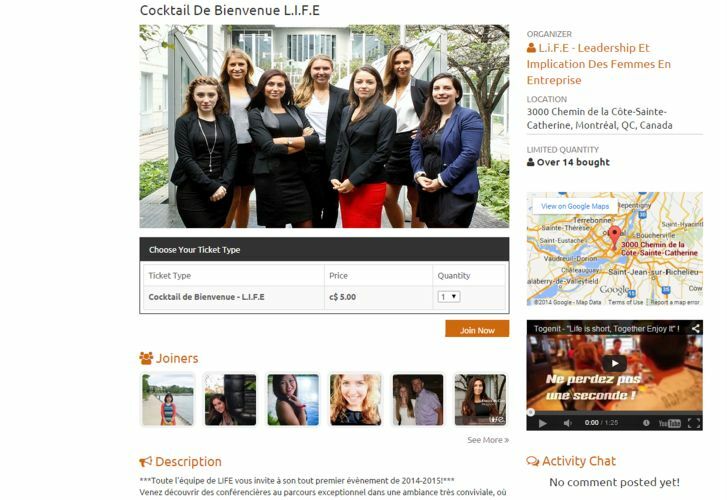 Togenit enabes you to easily interact with all your members or event joiners. You could whether directly contact them or send a general message. The most credible event organizers get the possibility to receive funds before the start of their events. This can be extremely useful and help cover important costs. 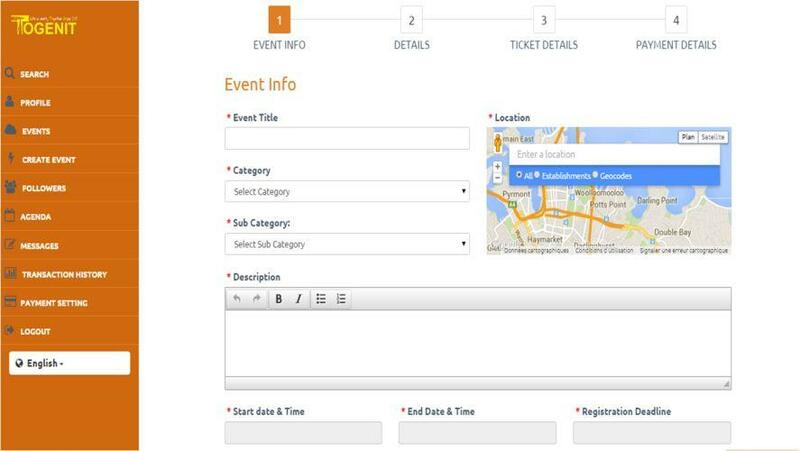 Are you willing to directly display the event on your website ? Our special widget enables you to display whether the entire page or a part of it. Are you concerned about the registration process ? 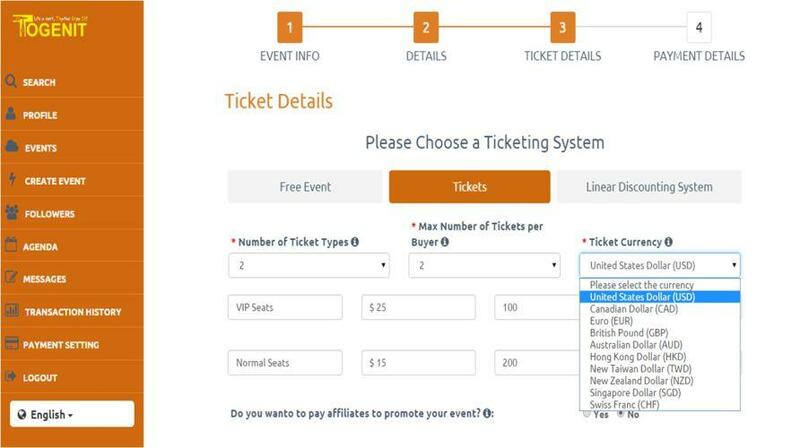 No problem, just provide us with an excel containing your members details and we will register them all at once - making it easier for them to buy your tickets. Do yo usually get paid by debiting your members' cards (ID, Student Cashwallet....). Not a problem, Togenit makes it very easy for you. 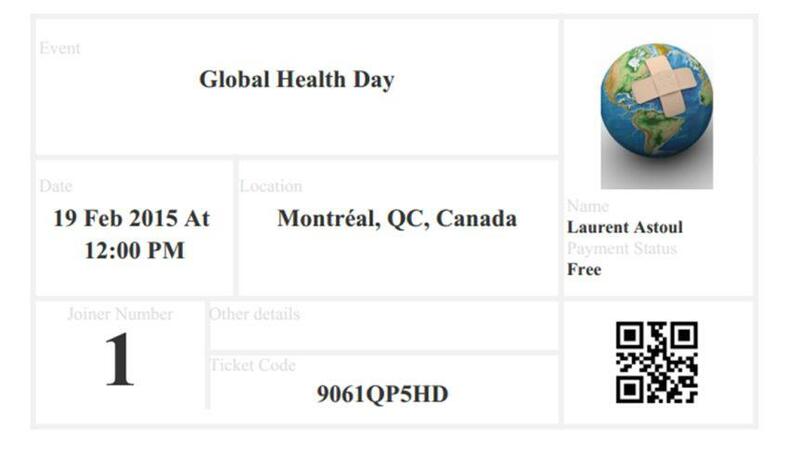 Just include each member's ID code on a registration excel file and we will make it possible.